We took a break from digesting to report on the presumed bloodbath happening at City Target at the Metreon, where we expected to brave hordes looking for Black Friday bargains. Alas, no such masses were found. We snapped the above shot at around 11:30 am today. 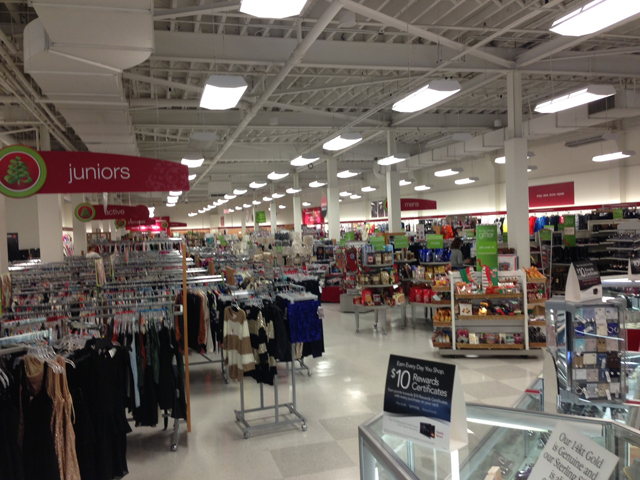 And for good measure, we sauntered over to TJ Maxx in SOMA (did you know that SOMA had a TK Maxx? Of course you didn't since it's an impossible place, near Fourth and Harrison, for pedestrians to access safely) and came across the following Black Friday tranquility. Nary a Maxxinista to be found.